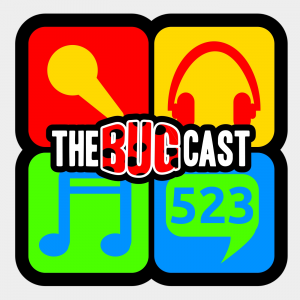 the bugcast 439 – This Pebble is dead! This week on The Bugcast: Dave and Caroline return for a week, but bring news of death and despair, and 8 amazing tracks of Creative Commons music from CrumbSnatchers, Message From Sylvia, Deadly Past, ProleteR, Rusty Tea Makers, The Other Side, The Brothers, and Regard Du Nord. This week on The Bugcast: Postman Pat, Mrs Mangel, immigration, and our usual 8 tracks of Creative Commons and independent music from Futurelight, The League, The Madpix Project, Nicolas Falcon, Arrow & Olive, Le-Fly, Heartskin, and Crumbsnatchers.